Island Jamaica is one of the best known destinations in the Caribbean region and welcomes more as 3 millions vacationers each year. There are a few well developed and worldwide renowned holiday spots such as Montego Bay, Negril, Ocho Rios and the capital city Kingston, but also areas that offer more privacy such as the southern coast, Port Antonio, Runaway Bay and Trelawny. Hotels and resorts of Jamaica are spread out on the entire island. Of course, the best vacation deals to Jamaica are offered by the luxurious 4 and 5 star hotels. Most frequented 5 stars hotels in Montego Bay are Round Hill Hotel, Grand Palladium Jamaica & Lady Hamilton and Half Moon Hotel, in Negril is located Riu Club Negril, while Oco Rios offers luxury accommodations in Riu Ocho Rios Hotel and Hotel Jamaica Inn. Exquisite accommodations are also offered by Hotel Jamaica Palace (in Port Antonio), Hotel Gran Bahia Principe Jamaica (in Runaway Bay), and Hotel Grand Lido Braco Resort & Spa (in Trelawny). Very good deals can be found also in 4 stars hotels like Hotel Jamaica Pegasus, Hotel The Courtleigh, Hotel Coyaba, Hotel Royal Reef Resort, Hotel Negril Escape Resort & Spa Boutique, Hotel The Palms, Hotel Coco La Palm Seaside Resort, Rock House Hotel, and Hotel Moxon Beach. After tourists have left their luggages in the hotel room, they can take a short tour of neighborhoods or head directly to the beach, where can simply lie on sun beds put in the front of turquoise waters of Caribbean Sea or enjoy different vacation activities such as scuba diving, snorkeling, horseback riding, volleyball, sailing, walking and many other. All inclusive vacation deals contain everything, from accommodation to meals, from pool side entertainment to cocktails, from airfare to airport transfers, from beach activities to different tours of the island. The prices vary in different resorts and generally depend on the number of vacation days and the activities or tours included. Many think that all inclusive packages are not for every pocket. Well, vacations in Jamaica have not to be necessary expensive, there are available also cheap deals offered by hotels with fewer stars, such as 3 stars hotels like Hotel Treasure Beach, Hotel Emerald Villas, The Gardenia Resort, Fun Holiday Beach Resort, Seawind Resort Negril, Sandcastles Beach Resorts, Runaway Bay Heart and many, many others. Whatever is the chosen type of vacation package, all inclusive or budget, a vacation in Jamaica is amazing, very relaxing even for the most active holiday makers and offers unforgettable memories. The images of the crystal-clear waters of Caribbean Sea, soft white sand beaches, palm trees undulating in the gentle breeze, friendly people smiling kindly, lush rainforests where live exotic animals, wild rivers with spectacular falls and high mountains with impressive peaks will be remembered year after year by most tourists…Sometimes this memories are so strong that some people are planning again a vacation in Jamaica and are looking for the best deals offered by Jamaican hotels! Jamaica Hotels & Resorts, with information about vacation deals to Jamaica, is a web site owned and developed by Conqueror Web Design & SEO Romania Outsourcing. The content of this article and of the entire site belongs to Conqueror Web Design. 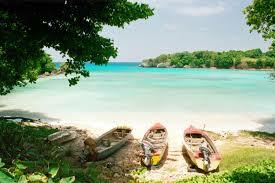 Thousands of tourists and visitors visit these beaches of Jamaica all round the year. If you desire to travel Jamaica at reasonable rates, then ask the travel agent about cheap inclusive Jamaica vacation packages. An intimate hideaway with just 52 rooms overlooking a serene beach in the heart of Montego Bay, the hotel offers exchange privileges at all other Sandals in Jamaica, giving guests the best Luxury Included? vacation value anywhere. This entry was posted in Cost-savers and tagged all inclusive, cheap, deal, deals, discount, flights, jamaica, package, packages, vacation, vacations. Bookmark the permalink. well this looks like a really nice place to visit. Landed at Montego Bay at 2pm. The airport is set in marshy habitat with a few pools producing the first few birds. Skipped queue at Immigration as we noticed a new “line” being opened. Straight through Customs and on to Island Cars who were expecting us. A few false starts in the car whilst getting used to no clutch ! Drove to Westgate Shopping Centre via the coastal route missing out the worst of Montego Bay stocking up on a few provisions and checked directions to Orange River Lodge. Found lodge without difficulty with the road inland to the lodge being in better condition than anticipated. Booked in at a cost of £18 per night.